A message from Tacoma Fire Chief James P. Duggan. At last night's Tacoma City Council Meeting, Mayor Marilyn Strickland recognized Dr. James G. Billingsley for his service as TFD's Medical Director and his dedication in supporting the Tacoma Fire Department, our members, and the community. In 1967, Dr. James Billingsley knocked on the door of our training center to ask whether the Tacoma Fire Department might be interested in starting a high-quality paramedic service to benefit the citizens of Tacoma. The answer must have been yes because the first TFD paramedic class would graduate in 1973, just one year after Washington State law changed to allow paramedics to perform physician-level skills without a physician being present on the scene of the emergency. 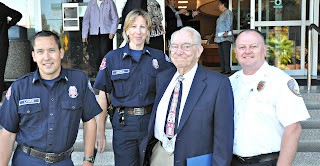 During his tenure with the Tacoma Fire Department, Dr. Billingsley has advised seven fire chiefs—a third of all the fire chiefs in the history of the department—assistant chiefs of EMS, medical services officers and, of course, every firefighter who has served as a TFD paramedic. In his role as our medical director, he has provided leadership, guidance, quality assurance, and medical oversight to ensure that the citizens of Tacoma received emergency care of the highest quality. Dr. Billingsley’s involvement with the community has been broad and deep. He served as medical director of St. Joseph, St. Clare, and St. Francis hospitals and practiced pulmonary and critical medicine until 1999. He has been involved with the health department in tuberculosis treatment, and the Blood Bank as their medical director, serving as a board member for 25 years. He has been active in aviation, both as a pilot and as a medical focus. He served on the boards for Tacoma Twins Baseball and the Tacoma Youth Symphony. We are grateful and honored that Dr. Billingsley’s longest involvement has been with the organization closest to his heart, the Tacoma Fire Department. We wish Dr. Billingsley the best as he begins his retirement at the end of this year. 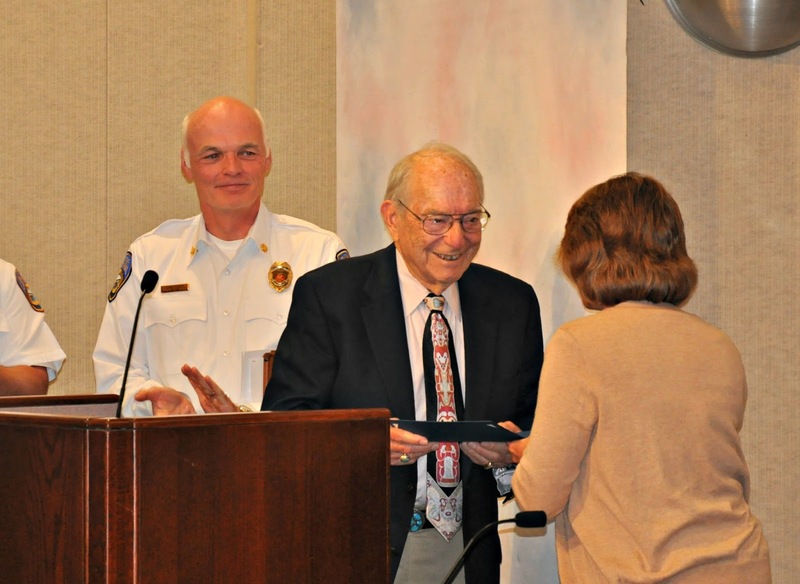 Although we will fill his medical director’s role in order to continue his legacy, Dr. James G. Billingsley will always be the patron saint of the Tacoma Fire Department and EMS patients in our community. Registration is open for CPR Sunday 2016!